Adsopel is a Performance Network with more than five years of experience behind it. Completely focused on the marketing industry, we can provide a wide range of top converting campaigns to media buyers, performance networks and webmasters among others. We need quality traffic for our exclusive offers for the various niche -insurance, dating, survey and mobile offers and if quality is found to be good we can pay on weekly basis. We need some very good affiliates who can work in our network(AdsOpel). 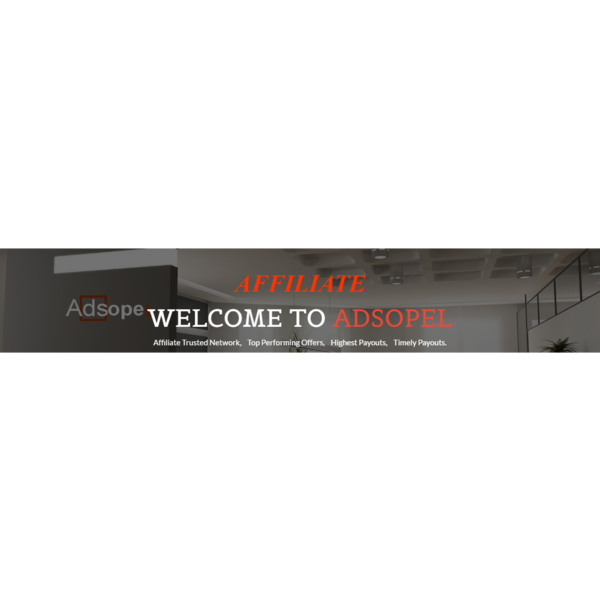 Adsopel is running successfully since last 3 years and we have more than 1273 affiliates. adsopel media is hunting for some genuine affiliates as we have some very good scheme for aur affiliates where they can earn magically well. We have some very good converting offers and bonus schemes.